Order for 100 Mark 1-As will be country's largest defence deal meant to arrest the shortfall in IAF's fighter squadron fleet. Decks have been cleared for the country's largest ever defence order, over RS 2 trillion for 100 Light Combat Aircraft (LCA) Tejas. At a crucial November 27 governing body meeting of the DRDO's Aeronautical Development Agency (ADA) that included manufacturers Hindustan Aeronautics Ltd (HAL), the IAF brought down a wishlist of 57 outstanding maintenance issues with the aircraft down to 43, all of which can be executed by ADA and HAL without changing the aircraft design. "We are now hopeful of an order for 100 Mark 1-As before the end of the current financial year," DRDO chief Dr S Christopher told MAILTODAY. The meeting of the governing council headed by Dr Christopher follows the September 23 signing of new aircraft specifications between the four key stakeholders in the three-decade old LCA project-the IAF, DRDO, MoD and HAL. The agreement has launched the struggling LCA Tejas project on a new trajectory. Designs of the Mark-1A will be complete by 2017 and the modified aircraft could enter production beginning 2019. HAL is currently supplying the IAF with 20 variants of the basic LCA Tejas. 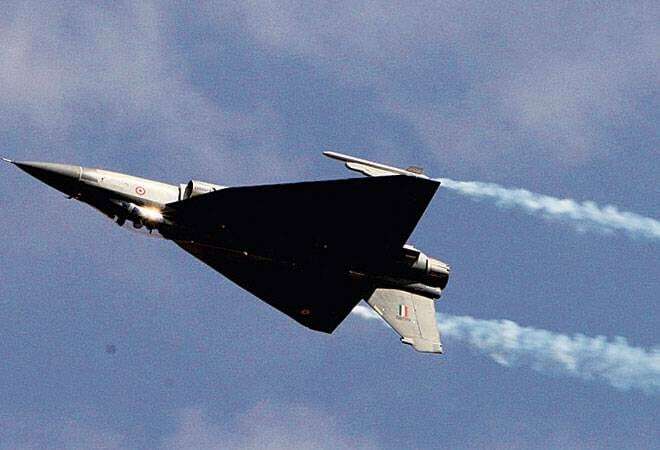 The DRDO chief says the Mark 1-A Tejas will address other shortcomings indicated by the IAF like the lack of an Active Electronically Scanned Array or AESA radar and Electronic Support Measures (ESM) which will be carried on a pod instead of within the fuselage. The modified Mark 1-A was proposed by HAL this year as a stop gap because the Mark 2 with uprated GE-414 engines and a lengthened fuselage, will not be ready for induction before 2024. "Re-positioning of major (aircraft) aggregates for the ease of maintenance has nullified the requirement to stretch the fuselage that would have increased aerodynamic drag to such levels as to require the more powerful F-414 engine. This negates the requirement to have LCA Mk2 for the IAF," says Air Vice Marshal Manmohan Bahadur (retired) of the Centre for Air Power Studies. Significantly, HAL has assured the IAF that it will double production capacity in its Bengaluru facility to roll out 16 aircraft each year. The Mark 1-A is meant to arrest the alarming shortfall in the IAF's fighter squadron fleet from a sanctioned strength of 39.5 squadrons to the present 35 squadrons. These squadrons are projected to further dip by 2022 when over 200 MiG-21 and MiG-27s are phased out. The ADA is now designing the LCA's Mark 2 variant only for the Indian Navy and the design will be ready by 2022. The agency also hopes to complete designs of a generation 4.5 Advanced Medium Combat Aircraft by 2022.